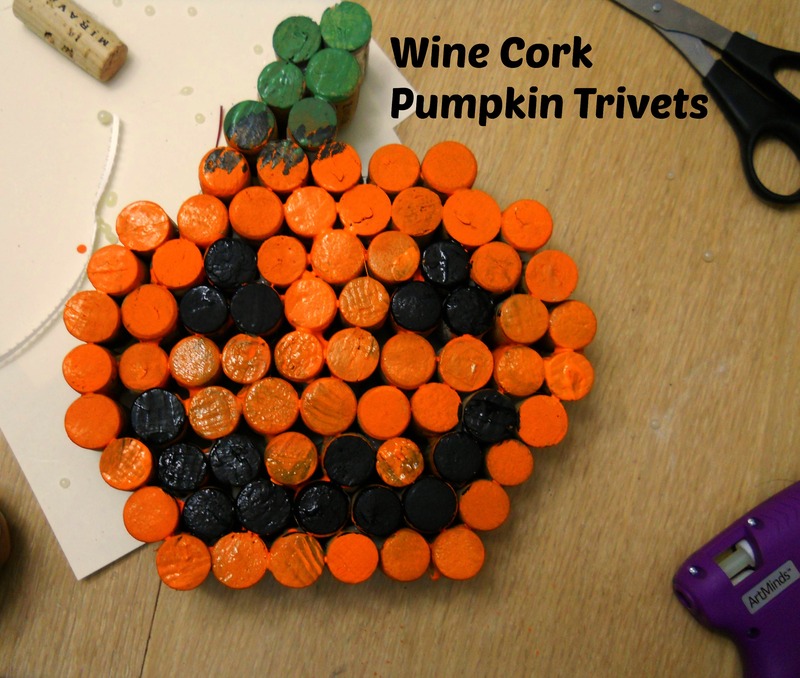 Here is another great holiday project for you for fall, this time using all of your left over corks. With just a few materials and some creativity you can create a cute holiday decoration that doubles as a safe place to rest hot pots and pans. Finished product from my trivet project. I actually needed to do this because I don’t have anywhere to put my hot pots or pans down aside from the stove. The nature of cork allows it to absorb extreme temperatures (to a degree) so its pretty perfect, and the end result is pretty cute and great for fall. A short list of things you’ll need. With the rise of the screw top wine bottle, corks are becoming slightly more difficult to come by. If you don’t drink enough wine to supply yourself with crafting corks there are a few places you can go to get what you need. 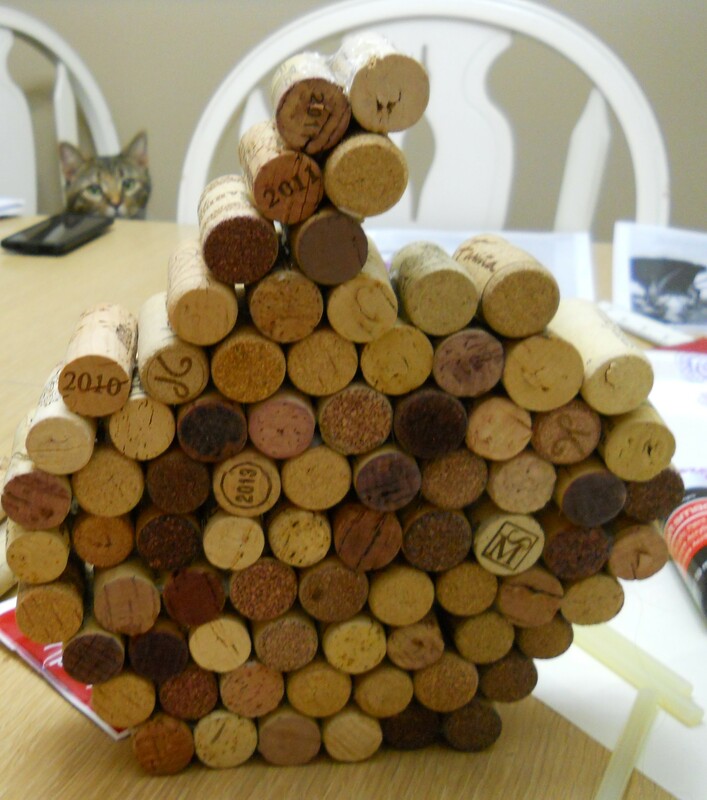 You can purchase corks on E-bay or craigslist. 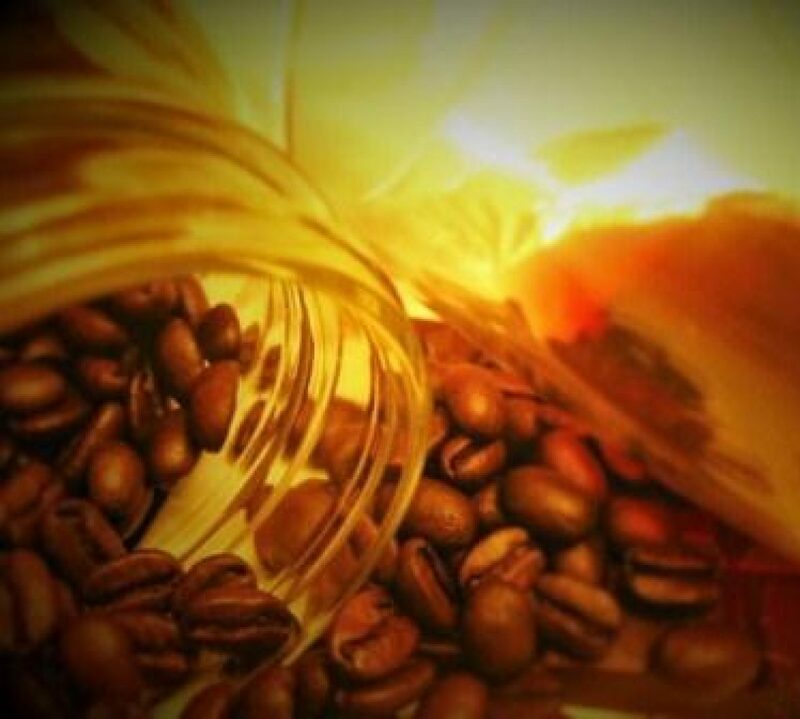 You could go to a restaurant or wine shop and see if they have a collection they are willing to part with. You can also go to a winery, they usually have boxes and full and are more than happy to part with them for free. I have also seen unused corks for sale at craft stores and Beer or wine making stores which have started popping up around the country. Start from the bottom and build up for good structural support. Tip: Not all corks are equal. I don’t recommend using plastic corks, though pressed corks will work fine, and natural corks are best. Also, not all corks are cut to the same length or diameter. Some will fit together better than others, and that is okay. Finally, for the sake of structural integrity try to keep the side that will be on the table somewhat even. Knobs from where the wine key went in or came out are fine, but having a bunch of short corks in the middle where you need your support will lead directly to breakage. And no one likes a broken pumpkin. My cat distrusts anything pumpkin shaped. 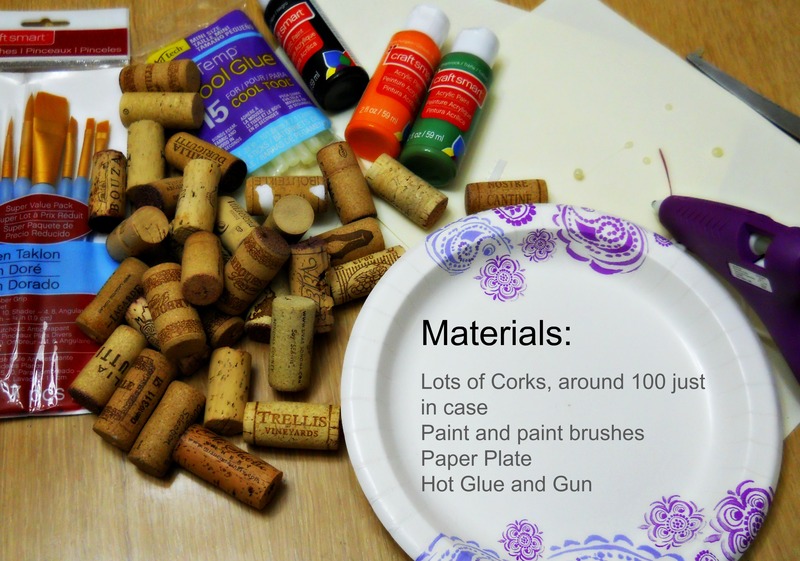 Use hot glue to connect your corks to each other. I recommend starting from the bottom and working your way up. 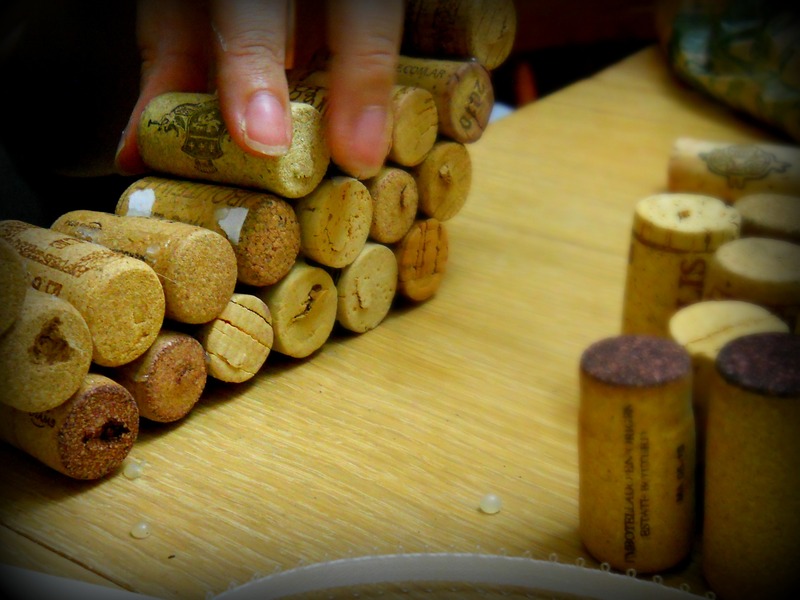 Creating a base gives the fragile corks something to support the pressure of you pushing on them with another cork and hot glue. Be careful, I broke mine at least twice. Once you have all of the pieces together let the glue cool and dry. I gave mine a toothy grin. This took multiple phases for me because I used multiple colors in the same spot and I wanted fuller coverage. I used three color: orange for the body, black for the eyes and mouth and green for the stem. You don’t have to paint a face on it if you prefer a fall theme instead of Halloween, but I’m in the middle of holiday decorating and didn’t think that far ahead. Wasn’t that fun? I enjoyed it, and SUPER EASY HOMEMADE DECORATIONS!! Even better (if that’s possible) with a little bit of imagination you can create all sorts of decorations: Christmas trees, Black Cats, Easter Bunnies, Star of David, even wine bottles which is a bit meta, but in a good way. If you have any questions, requests, recommendations feel free to comment below!